Pest description and damage These aphids are grayish or greenish and prefer to feed on new plant growth. 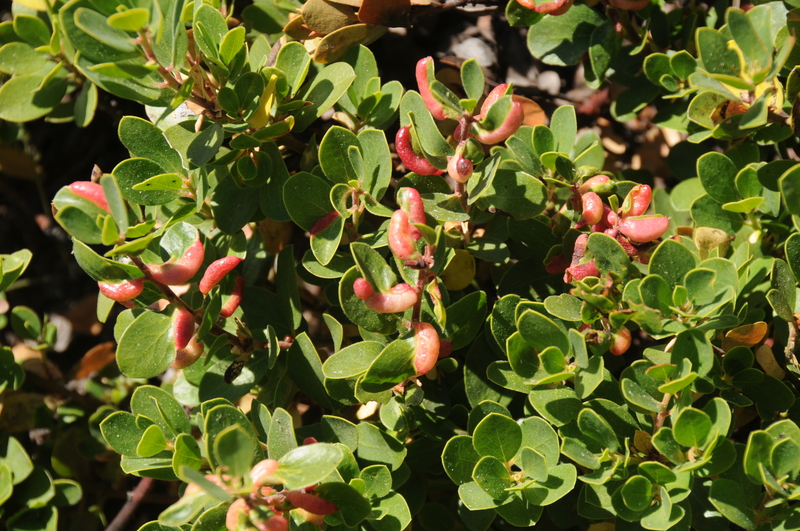 The manzanita leafgall aphid feeds on the leaves of kinnikinnick and other manzanita species (Arctostaphylos spp.). Aphid feeding causes the leaves to thicken and form bright red galls. Older galls turn brown. Severe infestations may slow the growth of the plant. Non-gall-forming aphids also may be seen occasionally on kinnikinnick. They are greenish, soft-bodied insects that may feed on leaves or stems. Honeydew, a sweet, sticky material, may be associated with aphid feeding. 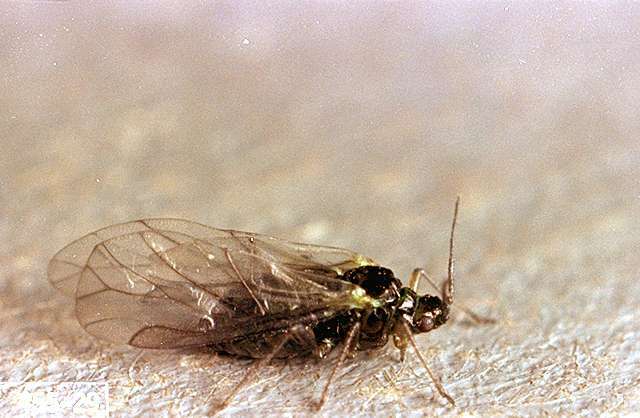 It may attract ants or become covered with a growth of dark, sooty mold. Severe infestations may result in leaf and twig dieback and tips turn brown as the galls age and aphids leave the plant. Pest monitoring Watch for the first sign of aphids with the onset of new growth in spring, or at other times of new growth flushes. Yellow sticky cards are sometimes attractive to aphids and will serve as an early warning. Galls tend to form at the tips of branches; prune or shear off galls while they are still green, and the aphids will die quickly. Avoid frequent shearing and over fertilization, which encourages succulent new tip growth favored by aphid. 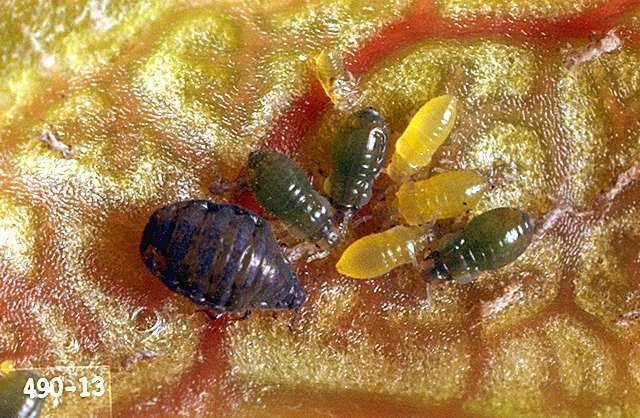 For other aphid pests, wash aphids from plants with a strong stream of water or by hand-wiping. 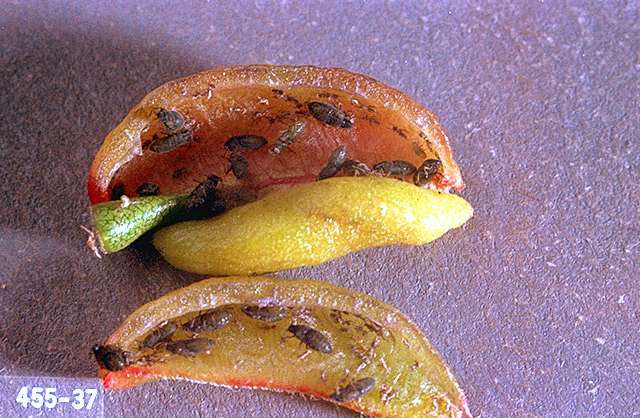 Syrphid fly larvae are important predators of the leafgall aphid and will feed on the aphids inside the galls. Avoid use of broad-spectrum insecticides which also kill the beneficial insects such as lady beetles and parasitic wasps.